As the new school year begins, youth are dealing with a lot of emotions and issues. Some are convinced that they are alone in their feelings. No one understands them. This is most often a false belief. However, those feelings can cause youth to choose self-harm in order to escape from anxiety and sadness. September is National Suicide Prevention Month, which is meant to bring awareness about youth self-harm. 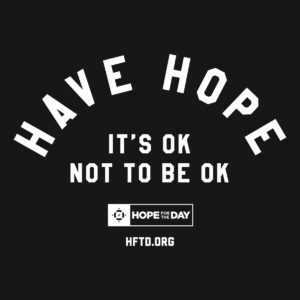 In order to observe Suicide Prevention Month, Carl Evans, the Director of Programming & Operations for Hope for the Day (HFTD), a nonprofit movement focused on suicide prevention and mental health education through expressive platforms, shared knowledge on signals to look out for and resources for youth. What are some of the reasons or factors that cause youth to think about harming themselves? Everyone’s experiences are unique, and arriving at the point of self-injury or suicidal ideation can stem from many different paths. Genetic factors can predispose someone to mental health issues, meaning they have a higher likelihood of struggling with thoughts of harming themselves. An individual can also register an emotionally intensive experience or a series of experiences as traumatic, which can detrimentally affect their mental health. Underlying these various direct and indirect causes are often times underlying negative thoughts, feelings, or self-hate. Is there a story of a youth that has stuck with you? At this moment one story that really stands out is about an individual from the Houston, TX area. This individual had a very intensive series of challenges linked to early childhood molestation, other forms of physical and verbal abuse within their domestic environment, further hardship and harassment at school, and they had zero access to clinical support due to being a minor. And in their particular case, it is fairly safe to assess they were not getting or could rely on supports from their legal guardians. This individual reached out at 14 years old and serves as a supportive teammate that is one part being an avenue of sharing pain, and one part strategizing on how to find solutions. It was a difficult road, in which HFTD largely acted as a safe avenue for them to share their pain and challenges. As a key part of the healing process, especially with minors, HFTD tries to provide education and information to legal guardians and other responsible adults to help build a supportive physical community. In the beginning, this seemed fine, but after being able to educate the person in question over the course of 5 months on understanding their challenges and how to communicate them, they were able to build up the confidence and courage to reach out to a relative outside their home. Over the following weeks, further education was provided to the adult relative who could follow-up and ensure the welfare and safety of the 14-year-old, as they pursued clinical support and eventually legal recourses. Anyone is welcome, who is willing to stay in touch, even after being assisted in providing information and guidance. This individual has been through quite a lot, but has stayed teammates ever since reaching out four years ago, and just last year (2016), they started to ask if they could volunteer on outreach tours and even what they could do to learn to speak/advocate for others to speak up about their challenges. This person’s story represents a similar pattern to so many others who represent the less visible side of HFTD, beyond the outreach tours, social media, and education events. Where can youth find help when they are thinking about self-harming? 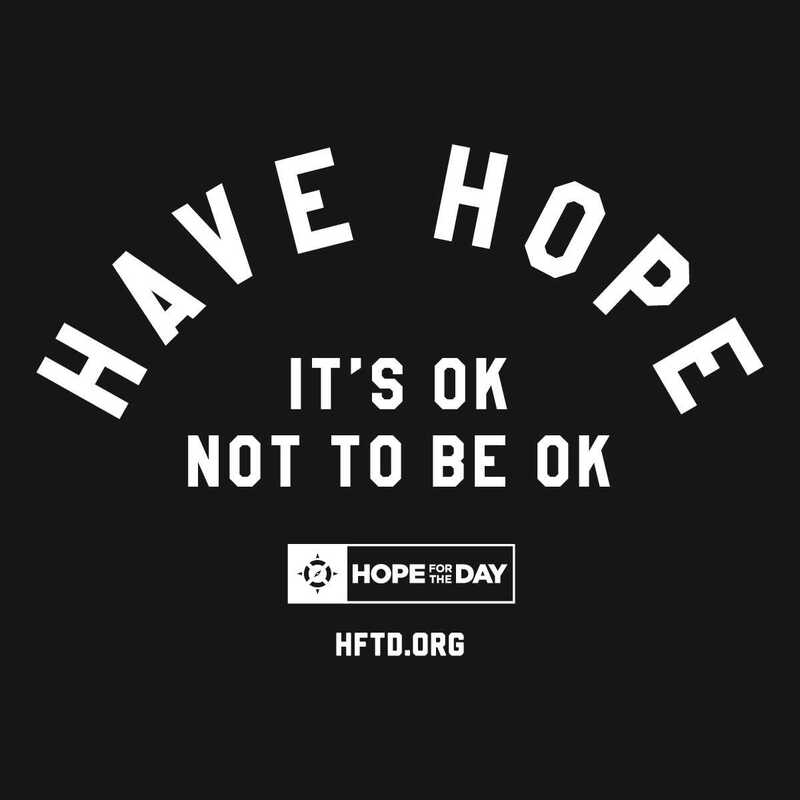 If a youth is in an immediate point of crisis, they can call the National Suicide Lifeline at 1-800-273-3255(TALK). Talking to someone about troubling thoughts is important in taking care of ourselves. Friends and family can, in many cases, also offer help and be a part of a larger support system. In any case, the most important thing to remember is that help is available, even if it may take some time to find the most appropriate solution. What can the public do to contribute to suicide prevention? Start the conversation on mental health. Be proactive in learning how to take care of mental health and support others struggling with mental health challenges, instead of waiting for someone to reach a point of crisis to act. Stigma prevents others from openly talking about mental health and suicide. Dispell it by raising the visibility of resources and education. Mental health is just as much a part of daily life as physical health, and there are tools to respond, treat, and manage mental health issues.